If you only picture snow sports, frozen lakes and poutine when you think of Canada, chances are you haven’t heard of The Great Bear Rainforest, a 32,000 sq km stretch of absolute wilderness spanning all the way from Alaska to Vancouver Island. The Great Bear Rainforest is a totally wild and remote region of islands, Indigenous communities, towering peaks and glacier-lined valleys. It's one of the world’s last remaining coastal temperate rainforests. That means it's home to some of the earth's most magical landscapes and wildlife—you’ll find cougars and wolves on the land, and sea lions and orcas in the water (hint: the best time to spot orcas in the wild is May to September)—so you're going to want to add this to your bucket list. From heli-hiking to wildlife viewing, we’ve teamed up with our favourite bunch of Canadians, Canada Keep Exploring, to bring you our top list of must-dos in and around the country’s most beautiful rainforest. To get the full, authentic Archipelago experience, we recommend booking in for a six-day expedition, making your way through the islands while camping in absolute wilderness. Adrenaline junkies, listen up. We’ve found the coolest way to explore the Great Bear Rainforest—by helicopter, of course. Soar over giant glacier peaks, land on remote mountain tops and visit paradise alpine lakes unreachable by foot. Tours can be customised to your level of fitness, so whether you’re a pro hiker searching for your highest peak (FYI, Bella Coola has some of the highest peaks in British Columbia) or an amateur explorer just dreaming of experiencing the best of Canada’s jaw-dropping terrain, there’s something for everyone. For those afraid of heights, there’s also a number of magical hikes accessible by road or foot. Snootli Creek Regional Park is the most popular hike among locals, consisting of four easy paths that lead you through an ancient cedar grove. Saloompt Forest Trail is another good option for beginners, with the added bonus of (Instagrammable AF) picnic tables with a view along the route. If you’re visiting in August or September, you can watch the salmon spawn from the Saloompt River bridge. For seasoned hikers, don’t miss your chance to explore the Medby Rock Lookout Trail with picturesque views across the Bella Coola Valley. Seeing a majestic grizzly bear in its natural habitat has been at the top of our bucket list here at The Urban List since forever, and in the Great Bear Rainforest, you can do just that. 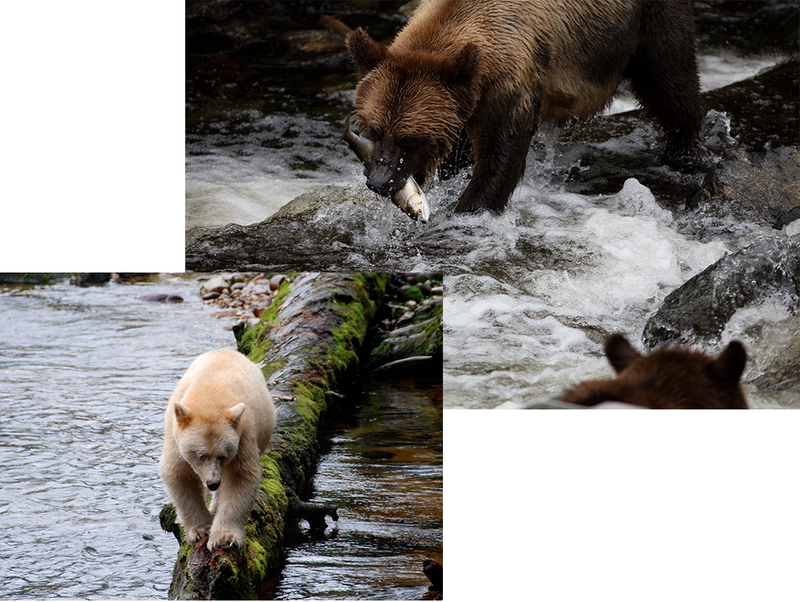 Did we mention the rare white Kermode bear—also known as a “Spirit Bear”—is also found here? 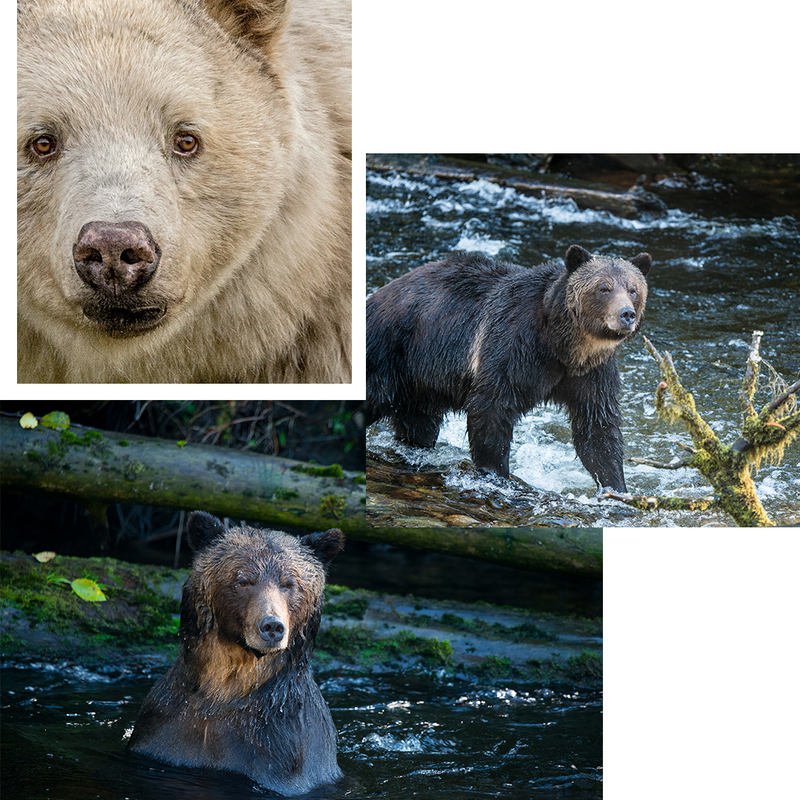 Tweedsmuir Park Lodge run guided grizzly bear and wildlife viewing experiences, which include a full-day tour searching for bears and wolves on land, and dolphins, whales and orcas (!) in the sea. For a chance to see a Spirit Bear on their home turf of Princess Royal Island, book yourself into Spirit Bear Lodge, a community-based ecotourism venture run by the local Kitasoo/Xaixais First Nation. To get to The Great Bear Rainforest, hop on a short flight to Vancouver, then fly, ferry or drive to Bella Coola, the most popular gateway to the Great Bear Rainforest. If you’re road tripping by car, Highway 20 or Highway 97 are the best routes to take, connecting inner British Columbia to Bella Coola. Taking Highway 20? Plan for a stopover in Tweedsmuir Park (and spend a night at this insanely beautiful lodge), Heckman Pass and the Chilcotin Plateau on the way through. #Boatlyf more your thing? Take the BC Ferries from Port Hardy to Bella Coola. You can thank us later. Editor's note: this article was produced in partnership with Canada Keep Exploring. Thank you for supporting the sponsors who make The Urban List possible. (And don't forget to share your Canada snaps with us using #Urbanlisted). Image credit: imagery sourced via Destination British Columbia.